Start taking classes at Alice Kim Acupuncture and other studios! 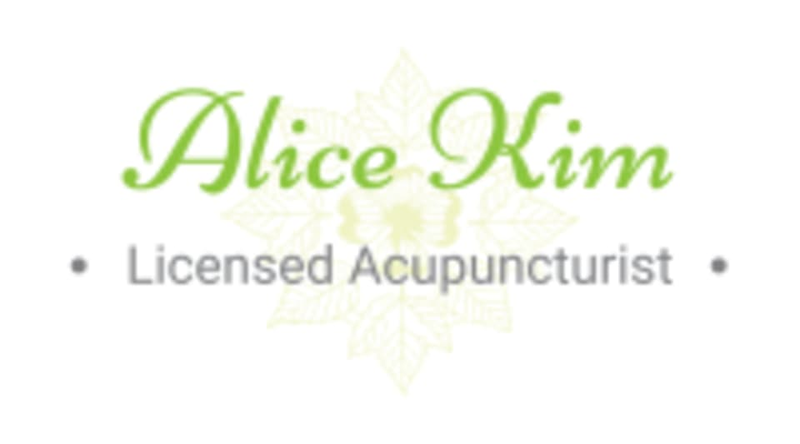 Alice Kim Licensed Acupuncturist is a boutique acupuncture clinic in the heart of downtown Hoboken. Whether you need a quick turn up of your Qi or need a staycation your body desperately deserves, Alice customizes each clients' treatments to their unique individual needs. When your mind is in Hawaii but your body is stuck in the office, let your soul wander into the whelm of holistic healing. With deep long strokes of Ashiatsu in combination with acupuncture to nourish your spirit, surrender yourself to the soothing waves of the Hawaiian sea. The busy streets of New York will feel more like a meandering stroll along the Oahuan coast as soon as you exit this space. Come visit Alice Kim Acupuncture for the staycation you need! Please wear loose, comfortable clothing. Be sure to eat and drink something before your treatment. If the office door is closed, you are welcome to wait in the waiting area on the 3rd floor. Alice Kim Acupuncture is located at 86 Hudson St, Suite 306 in Hoboken, New Jersey. My office is accessible via the PATH subway system from Manhattan. Amazing service - I wish it had never ended! Alice created a serene, relaxing environment. Great massage with stress relieving acupuncture and aromatherapy. Highly, highly recommend. Left feeling very relaxed and rejuvenated. Great first experience with acupuncture. I think I may have just gone into this with the wrong expectations so I wanted to share my experience since the other reviews led me to believe this would be largely massage based. I mostly laid on the table with something (magnets?) on my back and was occasionally pricked in the ears. Alice, while very nice, never told me what she would be doing. When I left, one of my ears was still bleeding. A wonderful experience. Highly recommend. Alice was great. The massage was not long given only 30 minutes but she got so many of my knots out! Very relaxing and my neck and shoulders feel so much better. Alice is amazing! Highly recommend this service if youre stressed with tight shoulders. Absolutly incredible , healing and luxurious experience. Thank you Alice Kim for saving my week!